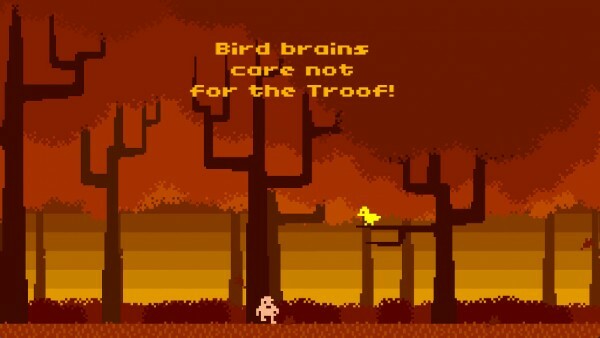 Potatoman Seeks The Troof ($1.99) by Pixeljam is a platformer game that is a lot harder than it looks. If you’re looking for a unique challenge this week, then this game is definitely worth a look. When it comes to mobile gaming, I get a kick out of those quick-fix type of titles, since they’re usually something I want to kill a few minutes with. Usually, I enjoy puzzle games for these moments, because while I love platformers, the controls are a bit tricky to get right on a touch screen device. 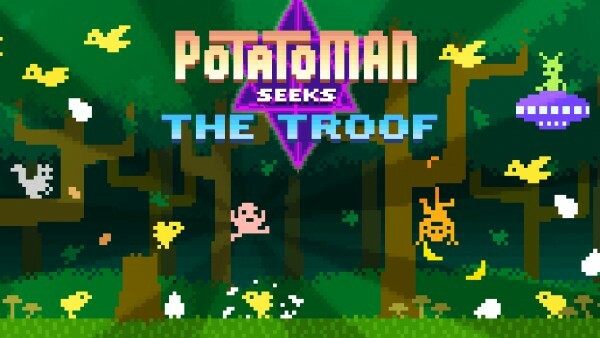 Still, that doesn’t always stop me from checking out the latest platformer game that hits the App Store, and over the weekend, I was intrigued with a little gem called Potatoman Seeks The Troof. The graphics in Potatoman are fabulously retro and sure to delight anyone who grew up with the classic 8-bit games from the ’80s. While the game has a pixelated look, things are still detailed enough so you can clearly tell what is happening on the screen. The colors in the environments are bright and vibrant, and at times the vintage art style looks like you should have a pair of 3-D glasses handy (though I haven’t tried this). Animations in the game are buttery smooth, so I had no lag on my iPhone 6. 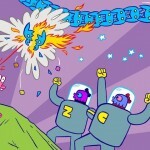 The game also packs in a fantastic chiptune soundtrack and quirky sound effects that will bring a smile to your face. 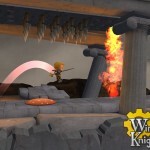 The game features five different levels that span across different environments. The game’s story is about Potatoman embarking on a quest of seeking the ultimate answer, the truth (or as we call it, “troof”). To get what he is searching for, you’ll have to help navigate Potatoman the scorching desert, dark forests, busy cities, tall mountains, and eventually his potato-consciousness, using nothing but your quick reflexes to do so. Each area introduces new hazards, obstacles, and enemies who want to stop you on your “potatosophical” mission. While the game is definitely considered short, you will have to take some time to memorize the patterns of each level, since you only have 10 lives on each run. Once you reach the next level, though, you can start from the beginning of that instead of starting over from the beginning. When Potatoman gets hit with an object or runs into an obstacle, you are out a life and need to try again from the latest checkpoint. The controls in the game are simple and intuitive, making it a great mobile game. In the bottom left will be two buttons for moving left and right, and the right side of the screen has the button for jumping. If you tap in the center of the screen, you can pause the game and customize the control positions as well as sensitivity. Personally, I found the default setup to be precise once I got the hang of the game, but if you aren’t satisfied with the default controls, having the option to customize is handy. Potatoman is a challenging test of your reflex skills, so you will end up dying a lot before you beat the game. However, there isn’t much to replay value since there are no points to earn or times to beat, and there is only one achievement in Game Center, which is enlightenment. I’m enjoying the game so far, and haven’t managed to get past the second level yet, but I can see why the brevity of Potatoman can be a problem for some, considering the price. 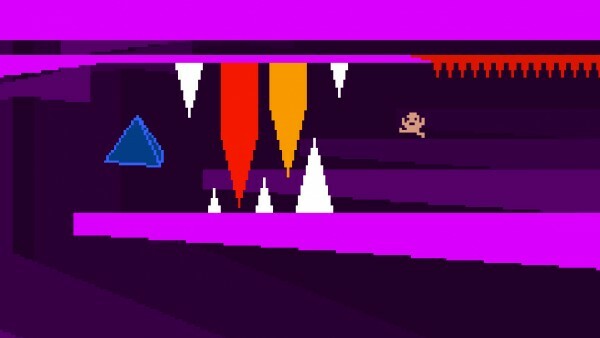 However, I love the graphics, the music and sounds are awesome, and the controls are easy to work with. It may be short, but it’s a difficult test to get to the end of the game, and to me, that’s worth the price. 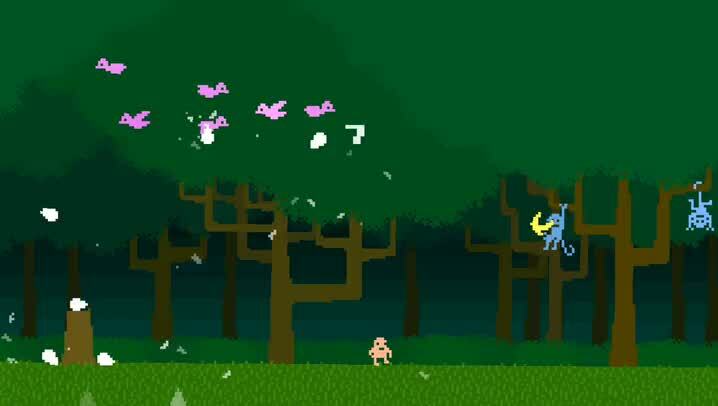 Plus, the game itself is wacky, and something that you should definitely experience for yourself, especially if you enjoy retro reflex platformer games. 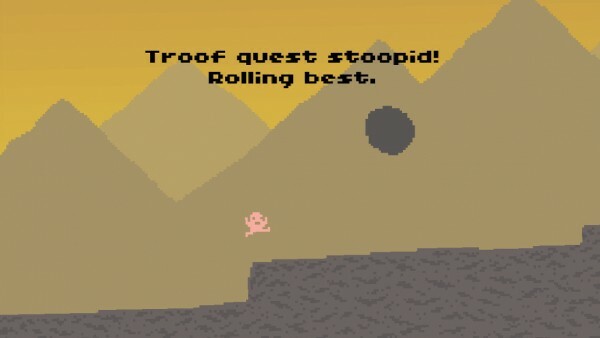 Potatoman Seeks The Troof can be found on the App Store as a universal download for $1.99.